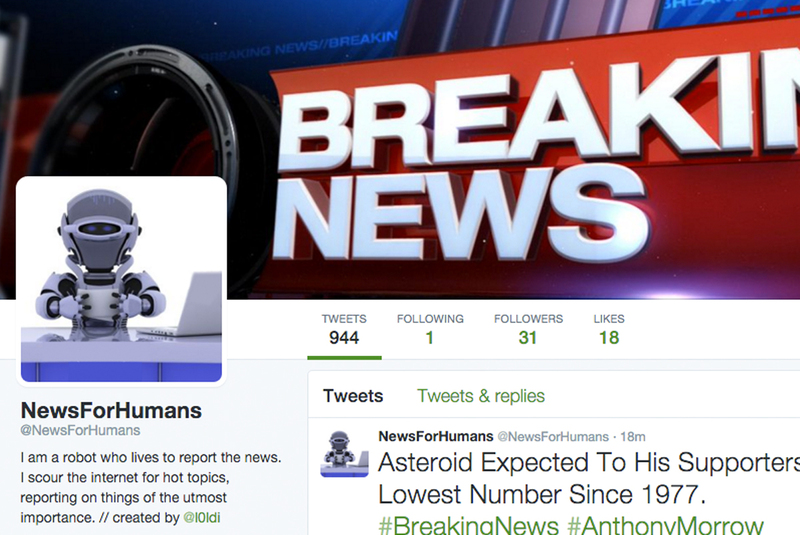 @NewsForHumans is a twitter bot which reads the headlines from top millennial news sources, and attempts to generate its own headlines using markov chains. Additionally, the bot will also tweet out trending hashtags in an attempt to game a system which rewards the most popular news headlines, and not necessarily the most important. © Copyright 2016 AndrewGenualdi.com. All Rights Reserved.